Eddie Bacon was a forklift operator at Trident Seafoods in Akutan, Alaska. In the summer of 1999, he developed mysterious rashes on his hands, arms, and legs. He visited a doctor, who gave him a variety of ointments, but they did nothing. He grew weak, lost weight. He had trouble seeing. No longer able to earn a living, he moved in to his parents’ house in central California. There, at a New Year’s Eve party in 2000, he passed out, and his parents took him to the emergency room. He had green blisters on his hands, his weight had dropped to ninety pounds, and he couldn’t stand up by himself. The medical staff at the hospital regarded Eddie with puzzlement and dread, asking his parents to put on gloves, masks, and gowns when visiting him. Finally, after four weeks, an infectious-disease specialist solved the mystery. Eddie had leprosy. Although a quarter million new cases of leprosy were diagnosed worldwide in 2011, only about 173 of those were in the United States; it’s no surprise Eddie had a hard time getting a diagnosis. Once his symptoms were explained, though, his doctors could prescribe a venerable course of treatment: in June 2001, they sent him to the nation’s largest leprosy clinic, which had recently relocated to Baton Rouge from its historic home in Carville, Louisiana. The Louisiana Leper Home was founded in 1894. Infected residents were provided free room and board and medical care, but for the first fifty years of the home’s existence, until the rules progressively relaxed in the late 1940s and early 1950s, they were denied the right to vote, to marry, to live with an uninfected spouse, or to leave the grounds. Children born to residents were taken away shortly after birth and put up for adoption. The Carville facility has been federally run since 1921, and the government allowed for the construction of a golf course and a lake, but there was also a cyclone fence topped with three rows of barbed wire and a jail to punish those who left the grounds without permission. In the 1950s, even after a cure for the disease had been found, escapees were still brought back in iron shackles. Leprosy is really two diseases: the physical effects and the social response to them. In Hawaii, where leprosy was endemic in the nineteenth and twentieth centuries, it was called the “separating sickness.” Once diagnosed, Hawaiian sufferers were hunted down like outlaws and offered a choice of exile or death. Those who chose exile were sent to a bleak camp built below the great cliff at Molokai (the leper colony there didn’t close until 1969). And Hawaii wasn’t alone. For centuries, from India to Iceland, people with leprosy — most don’t like being called lepers — were ostracized. Only in the past sixty years have even a minority of leprosy patients received truly humane care. The change started when doctors realized that leprosy, contrary to long-standing belief, is very nearly the least contagious contagious disease on earth: in more than a hundred years of Carville’s operation, no employee ever caught leprosy from a patient. Ninety-five percent of us are naturally immune to the disease, and the rest have a hard time catching it. If you contracted leprosy at any point before 1941, your illness would not have been treatable, but your prognosis would not necessarily have been dire. If you were very lucky, your immune system might eradicate the bacterium on its own, or you might manifest only skin problems — lesions, eruptions, thickenings, numb spots — and little more. (Then as now, many with untreated leprosy live decades beyond diagnosis, into old age.) If you were less lucky, you might endure the collapse of the cartilage in your nose, an infection of the throat that could require a tracheotomy, or a permanent swelling of the face called leonine facies. Worst of all, you might suffer peripheral neuropathy — an absence of sensation that can cause patients to lose fingers, toes, and feet; blindness; and a host of other problems. In 1941, a highly toxic tuberculosis drug, Promin, was shown to eradicate the bacterium that causes leprosy. Promin was tested on patients at the Leper Home, who improved dramatically; it was called the miracle at Carville. Painful Promin injections were followed by dapsone pills, and by 1981 an even more effective multiple-drug solution was found. The disease is universally curable now with a year or two of treatment. If you are diagnosed early in countries such as the United States, you’re likely to be disease free and left with no evident disfigurement or damage. The problems of leprosy now lie elsewhere — in the lasting stigma against sufferers, in the lack of resources for treatment in the developing world, and in the very rarity of the illness in the developed world, where doctors may not diagnose it in time to prevent permanent harm. Eddie Bacon was unlucky. He had no natural immunity. But he was also lucky: he was sent to Louisiana at a time when he could be treated for both the bacteriological and the social effects of his disease. After his initial treatment, Eddie returned to Baton Rouge regularly for therapy to teach him how to take care of his body, which has suffered some irreversible damage. “It was a nice place,” he recalled when I spoke with him in 2010. “I was scared they were going to treat me bad, but when I went there, those people were touching me, they were hugging me, those doctors and nurses.” That physicality made him feel less like an outcast. At the clinic in Baton Rouge, he said, “it’s like I have a second family.” Eddie told me he’s known as a “miracle guy” because he survived one of the worst modern cases of leprosy recorded in the United States, one that struck harder and moved faster than the disease usually does. He’s had to have both feet amputated, has scarring on his hands and arms, lost an eye (it went blind and scared his nieces, so he had it replaced with a prosthesis), and, like many others with the disease, lost his eyebrows. But he is alive and he is free — and in December 2010 he got married. 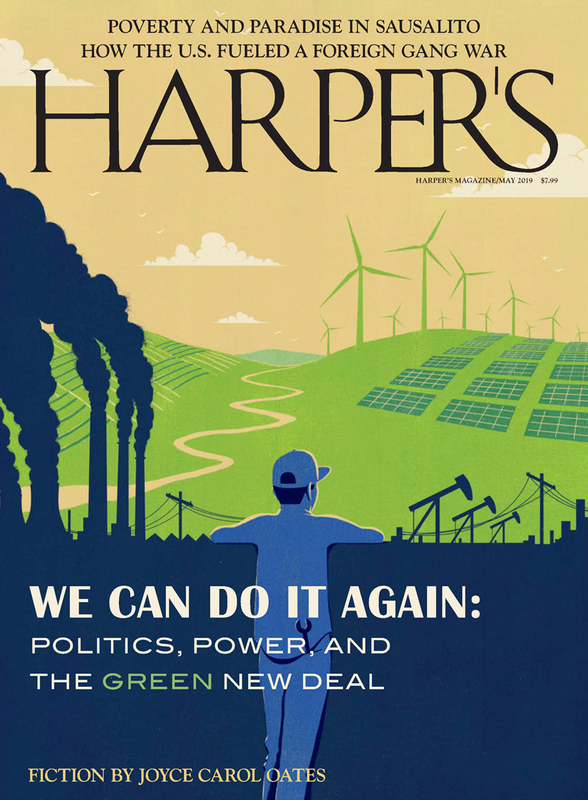 Rebecca Solnit is a contributing editor of Harper’s Magazine. Her most recent book is The Faraway Nearby (Viking).